The life of a farrier can be back breaking, frustrating, heart-warming, rewarding, and funny all at the same time. 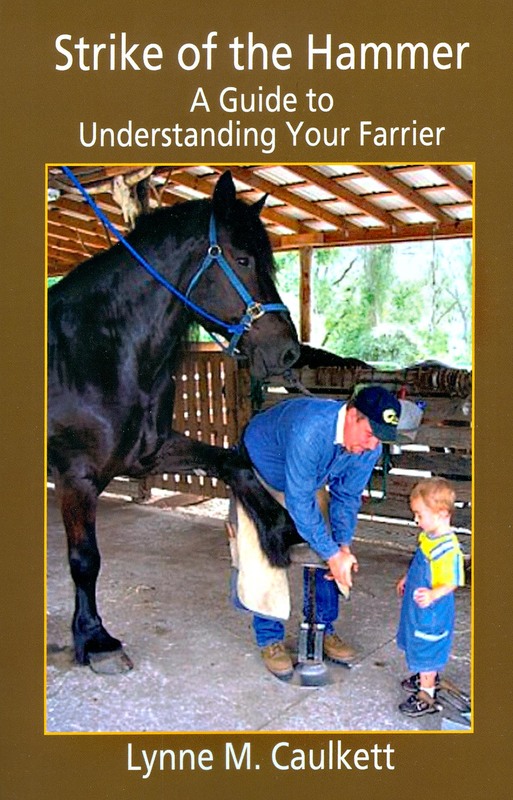 This book captures the hearts and soul of many different farriers as they share their experiences, both serious and humorous, and offer time-tested advice to horse owners. This often unappreciated profession is truly an art form. The hammering of the red-hot steel on the anvil is music to a farrier's ears. Every horse owner should read this book to get a better understanding of what goes into caring for his or her horse's feet. Hear from the farrier's themselves what an important role the owners play in their trade and what horse owners can expect from a good farrier. A must read for both farriers and horse owners! I am not sure this was the best title for this book. (my apologies to the author/publisher) I am afraid that it may not do it justice. Horse owners may not really want to "understand" their farrier - beyond what is necessary for them to get a good shoeing job on their horse(s). Farriers - well... do they want to understand other farriers? I don't know about that, either. With all that said, I am not sure what a better title would have been - but this book is such a wealth of different facets of farrier knowledge I would not hesitate to recommend it to anyone who is interested in horses. The author has done a great job of touching on the most interesting facets of all sorts of things to do with farriery - and she includes a wealth of sources - websites, etc. to point you easily in the direction that you need to go for more in-depth info regarding each topic. Interspersed within are a generous helping of interesting real-life stories from farriers around the world. Lynne has really done her homework on this one, and it shows.